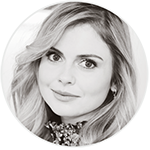 In the summer of 2018, Rose McIver once again made this challenge. Founded by Melissa Hartwig (and Dallas Hartwig) in April 2009, the Whole30® is designed to change your life in 30 days. Think of it as a short-term nutrition reset, designed to help you put an end to unhealthy cravings and habits, restore a healthy metabolism, heal your digestive tract, and balance your immune system.